An IP address is supposed to be a house address of any computer or a network in the World Wide Web. All our internet enabled devices have their individual IP addresses. The blocks of numbers in an IP address are divided in various classes such as Class A, Class B, Class C, Class D, and Class E. The first four classes are the ones that are used frequently. In webhosting scenario one can have a single hosting account with more than one C Class IP address, or share one IP address with across multiple hosting accounts or alternatively on can have one hosting account with multiple domains. All the sites being deployed by you will have their individual IP addresses if you have a single hosting account with more than one C Class IPs. Among these four classes Class C is used by majority of small and medium enterprises for creating an account for multiple IP accounts hosting. The host provides different accounts with dedicated class C IPs. These IPs can be used for creating separate micro websites that generate and provide links with relevant content to the main website. One can list number of advantages of hosting with multiple websites with class C IPs for international SEO. It is extremely useful for ranking websites on the basis of regional geographic locations. Availability of multiple websites empowers organizations to dedicate individual sites for different product or service categories. Brand specific sites can also be created to ensure well defined brand segmentation. Multiplicity of sites also enhances local SEO. If you host more than one site on a single IP, then interlinks between these sites will be of no value from the point of search engine optimization. Search Engine Optimization is concerned with ranking of a particular site and it attaches great significance to websites that are linked to each other separate class C IP addresses. Therefore we can safely assume that among all classes C class IP is the one that influences SEO. Leading search engines assign no power to sites that use same C Class IP address. This step is taken to curb spamming. If an enterprise has to enhance the strength of its site in terms of SEO, then a unique Class C IP address can go a long way. Any SEO campaign can be more productive, if you are able to have websites with select class C IP addresses to get more back links. It is a well established fact the number of Class C IPs and domain names can enhance SEO. Therefore an ideal SEO strategy involves creating number of micro websites around the main site to constantly nurture it with traffic generated by multiple websites. This is highly optimistic way to improve ranking on major search engines. Absence of multiple IPs can harm your website that can even get blacklisted by the search engines. One should never overlook significance of hosting in terms of SEO. Hosting can either make or break your SEO strategies. Choice of right hosting is also important for driving new prospects and converting them into customers. There has been lot of discussion about how a shared hosting environment can affect your site due to mischievous neighbors. If you are staying in a shared apartment, then your image is always prone to be tarnished due to unlawful activities of sharing partners. In a shared hosting one can never vouch for the integrity of thousands of other neighboring sites. This can be achieved without going for an expensive option of a dedicated server. The best possible and cost effective way to exploit massive SEO benefits of unique class C IPs is to choose VPS hosting. Virtual Private Server hosting is also an ideal environment for enhancing the website’s speed and stability. 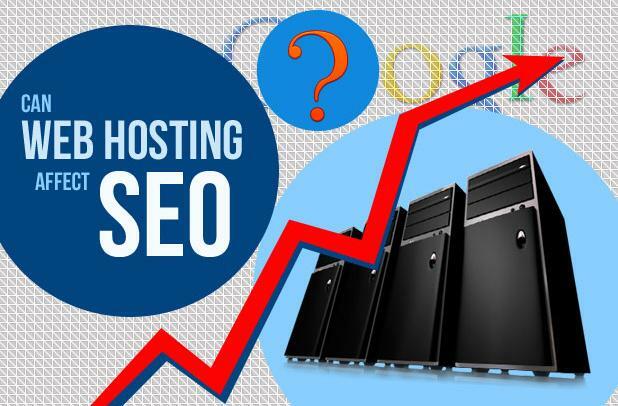 This is the basic reason why a VPS hosting account is considered to be a perfect choice for SEO conscious customers. Given the fact that a VPS hosted website loads faster and experiences less frequent downtimes, one should avoid staying in a shared hosting environment. Search engines consider page loading speed as one of the important ranking factors. VPS hosting ensures optimum availability of resources to accelerate page loading speeds. Search engines downgrade ranking of websites that are experiencing hacking and malware attacks. You need a better and more secured VPS hosting environment to avoid negative ranking due to these events. If you are building a huge site that would require maximum possible resources, it would be ideal to go for a dedicated hosting. Otherwise, if your site is going to experience moderately higher traffic, then you will be able to derive all vital attributes of dedicated hosting by selecting VPS hosting. Multiple Class Cs and VPS hosting is a winning combination that will boost your SEO. You can not only enjoy dedicated resources in a virtually dedicated environment of VPS hosting, but will also be able to exploit benefits of affordability with VPS hosting.